Dr. DeSimone holds a Ph.D. in Industrial and Organizational Psychology with a minor in Quantitative Methods from Georgia Institute of Technology (2012). 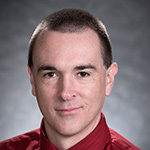 His research focuses on personality, employee selection, research methods, statistics, and test development & validation. Dr. DeSimone has completed an internship with Human Resources Research Organization and served as a Training and Organizational Development Specialist for The Coca-Cola Company. He has provided independent consulting on scale development and psychometric analysis with organizations such as Leadership Freedom, CJC International, and Shadi Jarasi. DeSimone, J. A. (in press). When it’s incorrect to correct: A brief history and cautionary note. Industrial and Organizational Psychology: Perspectives on Science and Practice. DeSimone, J. A. (in press). Will exploring the darkness prove enlightening? Five questions about the “Maladaptive Big Five.” Industrial and Organizational Psychology: Perspectives on Science and Practice. Geimer, J. L., Leach, D. J., DeSimone, J. A., Rogelberg, S. G., & Warr, P. B. (in press). Meetings at work: Perceived effectiveness and recommended improvements. Journal of Business Research. James, L. R., LeBreton, J. M., Mitchell, T. R., Smith, D. R., DeSimone, J. A., Cookson, R., & Lee, H. J. (2013). Use of conditional reasoning to measure the power motive. In R. Landis & J. M. Cortina (Eds. ), Modern Research Methods for the Study of Behavior in Organizations (pp. 233-265). San Francisco: Jossey-Bass. Schoen, J. L., DeSimone, J. A., James, L. R. (2011). Exploring joint variance between independent variables and a criterion: Meaning, effect, and size. Organizational Research Methods, 14, 674-695. This entry was posted in Team on November 25, 2013 by admin. 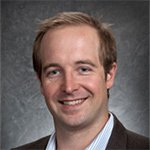 Dr. Vanhove holds a Ph.D. in Industrial/Organizational Psychology from Colorado State University (2013). His research focuses on performance-based selection tools, variability and consistency in performance, workplace discrimination, test validations, and occupational stress and well-being. 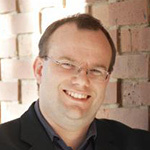 Dr. Vanhove has served as a Consulting Scientist for organizations such as Sentis Pty Ltd, Tucker International, Fort Collins Tri-agency, and Cisco Systems. Vanhove, A., & Gordon, R. (in press). Weight discrimination: A meta-analytic examination of the relationship between weight and work-related outcomes. Journal of Applied Social Psychology. Harms, P. D., Krasikova, D. V., Vanhove, A. J., Herian, M. N., & Lester, P. B. (2013). Stress and emotional well-being in military organizations. In P. Perrewe, J. Halbesleben, and C. Rosen (Eds.) Research in occupational stress and well-being. Dr. Mitchel Herian received his Ph.D. in Political Science from the University of Nebraska-Lincoln (2008). Dr. Herian seeks to conduct practical research that yields actionable information for policy makers. While his interests are varied, he has two primary areas of research. The first includes studying individual attitudes toward authorities, with an emphasis on how such attitudes impact individuals’ evaluations of authorities and behaviors. The second involves examining well-being in public organizational settings. To date, this work has primarily involved examining how stress and well-being impacts behavioral outcomes in the U.S. Army. Dr. Herian’s work has been funded by a variety of federal, state, and local agencies. His work has appeared in some of the leading journals in Public Administration, Psychology, and Public Policy. In addition to his role with PDH, Dr. Herian is a Faculty Fellow at the University of Nebraska Public Policy Center. Herian, M. N., Abdel-Monem,T., & Shank, N. Trust in government and support for government regulation: The case of electronic medical records.Health Expectations. Advance online publication. doi: 10.1111/j.1369-7625.2012.00803.x. Bornstein, B. H., Tomkins, A. J., Neeley, E. M., Herian, M. N., & Hamm, J. A. (2013). Reducing courts’ failure-to-appear by written reminders. Psychology, Public Policy, and Law, 19, 70-80. Harms, P.D., Krasikova, D. V., Vanhove,A. J., Herian,M. N., & Lester, P. B. (2013). Stress and emotional well-being in military organizations. In P. Perrewe, C. Rosen, and J. Halbesleben (Eds. ), Research in Occupational Stress and Well-Being: Vol. 11. The Role of Emotional and Emotion Regulation (103-132). Emerald Group Publishing. Herian, M. N., Hamm, J. A., Tomkins, A. J., & PytlikZillig, L. M. (2012). Public participation, procedural fairness and evaluations of local government: The moderating role of uncertainty. Journal of Public Administration Research and Theory, 22, 815-840. Herian, M. N., & Tomkins, A. J. (2012). Citizen satisfaction survey data: A mode comparison of the derived-importance performance approach. American Review of Public Administration, 42, 66-86.
on November 25, 2013 by admin. Dr. Peter Harms received his Ph.D. in Personality & Industrial/Organizational Psychology from the University of Illinois, Urbana-Champaign (2008). He is currently an Assistant Professor of Management at the University of Nebraska-Lincoln’s College of Business Administration. His research focuses on the assessment and development of personality, leadership, and psychological well-being. His work has appeared in such outlets as Journal of Applied Psychology, Journal of Personality and Social Psychology, Personnel Psychology, Leadership Quarterly, Academy of Management Perspectives, Journal of Organizational Behavior, and Human Resource Management Review as well as popular media outlets such as CNN, Scientific American, and the BBC. Dr. Harms has been invited to speak to audiences around the world and was selected as one of the “100 Knowledge Leaders of Tomorrow” by the St. Gallen Symposium. 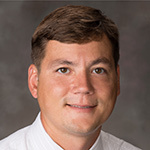 More recently, Dr. Harms has served as the lead evaluator of the U.S. Army’s Comprehensive Soldier and Family Fitness (CSF2), a program designed to enhance soldier resilience and well-being. Harms, P.D., Spain, S., & Hannah, S. (2011). Leader development and the dark side of personality. The Leadership Quarterly, 22, 495-509. Wood, D., Harms, P.D., & Vazire, S. (2010). Perceiver effects as projective tests: What your general perceptions of others says about you. Journal of Personality and Social Psychology, 99, 174-190. Roberts, B.W., P.D. Harms, Caspi, A., & Moffitt, T. (2007). Can we predict the counterproductive employee? Evidence from a 23-year longitudinal study. Journal of Applied Psychology, 92, 1427-1436. Harms, P. D., Roberts, B. W, & Winter, D. (2006). Becoming the Harvard man: Person-environment fit, personality development, and academic success. Personality and Social Psychology Bulletin, 32, 851-865.